Whether you began preparing in your 20s, or have yet to begin, on some level everyone understands that retirement is coming. What many people don’t realize is that it’s a process that involves a whole lot more than merely saving money. 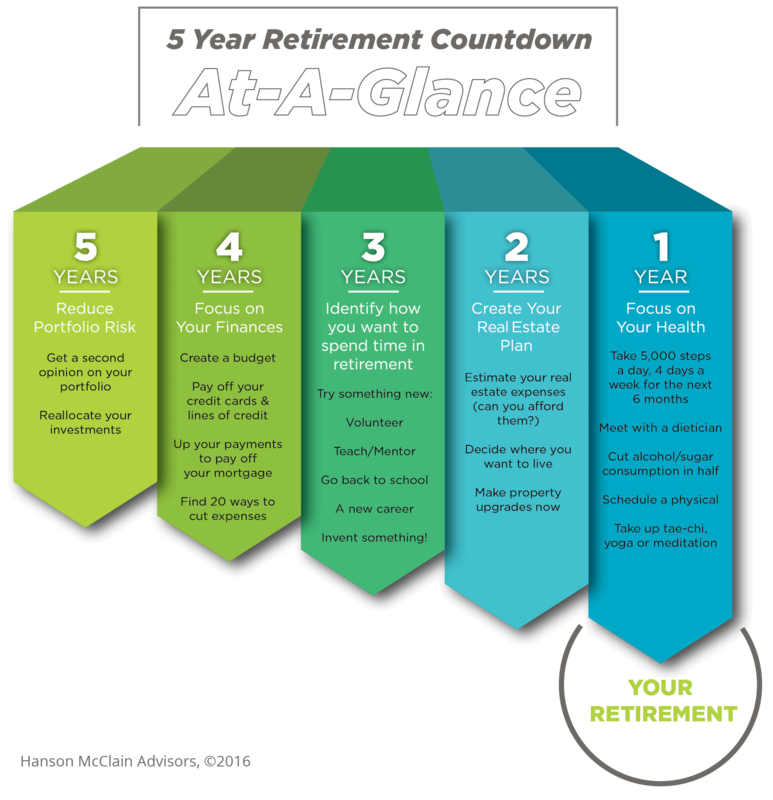 Specifically, properly managing the five-years leading up to retirement can make a big difference in your quality of life. If you’re working with a credentialed advisor, that’s great. If not, no matter where you are in the process, I recommend you meet with one as soon as possible to help you outline a plan. 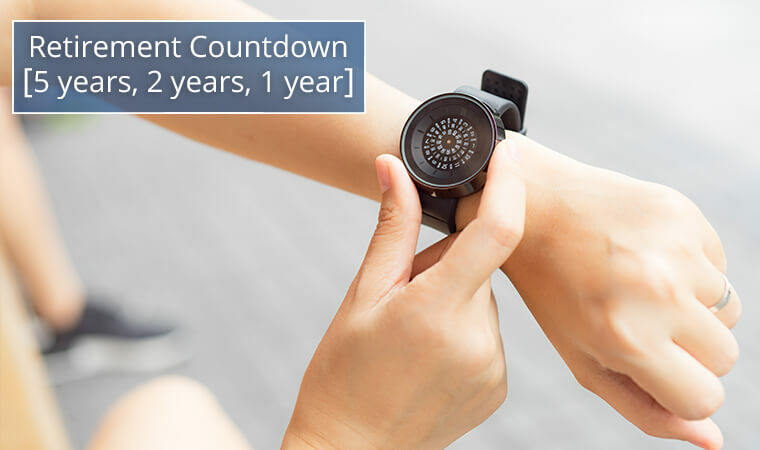 Until then, here’s an introductory five-year countdown to help you assess where you are in your retirement transition process. In my more than 25 years as an advisor, I’ve seen trends come and go, but the one thing that has remained consistent is that the people who have clear financial and time management plans tend to be happier and more at ease during retirement. Want to gain a deeper understanding of the retirement transition process? Download a free copy of our 7 Personal Decision Points guide now.